Great Find! 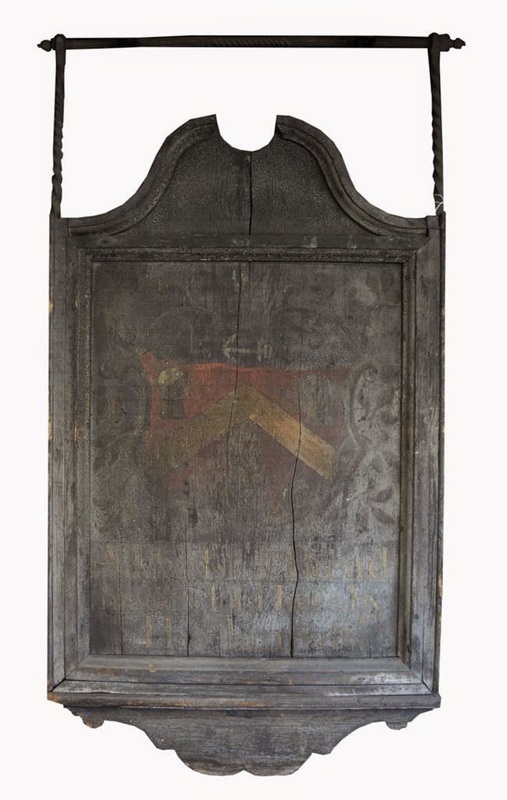 In the archives a news clip of this sign found in Newburyport MA in 1916, it was in the City Hall 1858 and went to auction in 2015 sold for 4,000.
painted with a coat of arms and bearing the inscription All Sorts of Bread made and sold here, by Tho.s Tannatt; dated on verso 1774; with wrought iron hanging support; sign: 45 x 26 1/2 inches Grogan & Company. Mr. Grogran stated the cosigner provided very little information: "We acquired it when my mother (Ad Browne) of Dover died in 1990. I have no idea how or when it came to her. That's all I know. " From Representative men and old families of southeastern Massachusetts: containing historical sketches of prominent and representative citizens and genealogical records of many of the old families, (Volume 3). The sign was displayed at a fair held in the city hall of Newburyport on April 12, 1858. 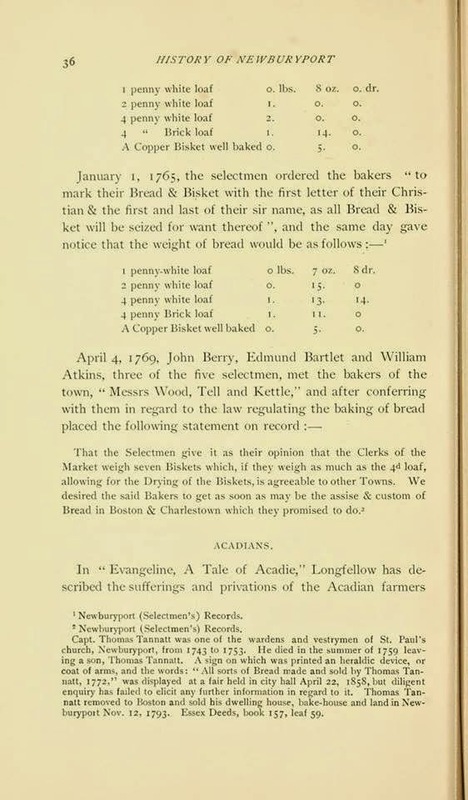 Tannatt removed to Boston during the Revolutionary war, where he continued his baking business. He died in Boston and is buried on Copp's Hill. 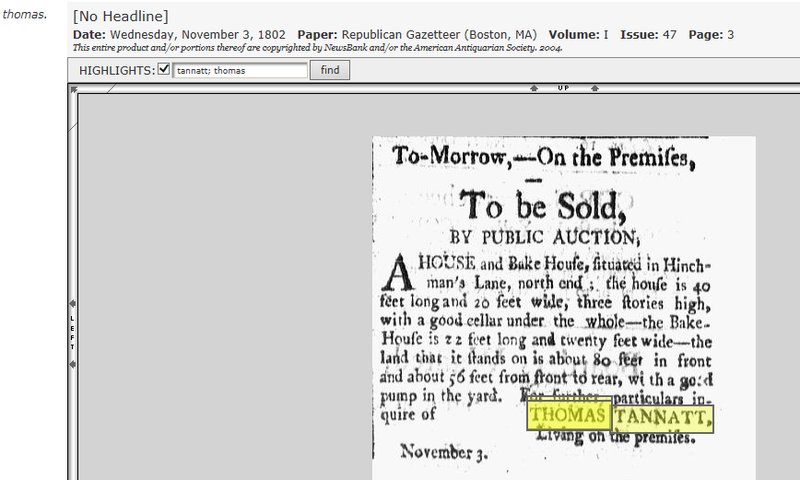 He sold his Newburyport house and bakery in Nov. 12, 1793.